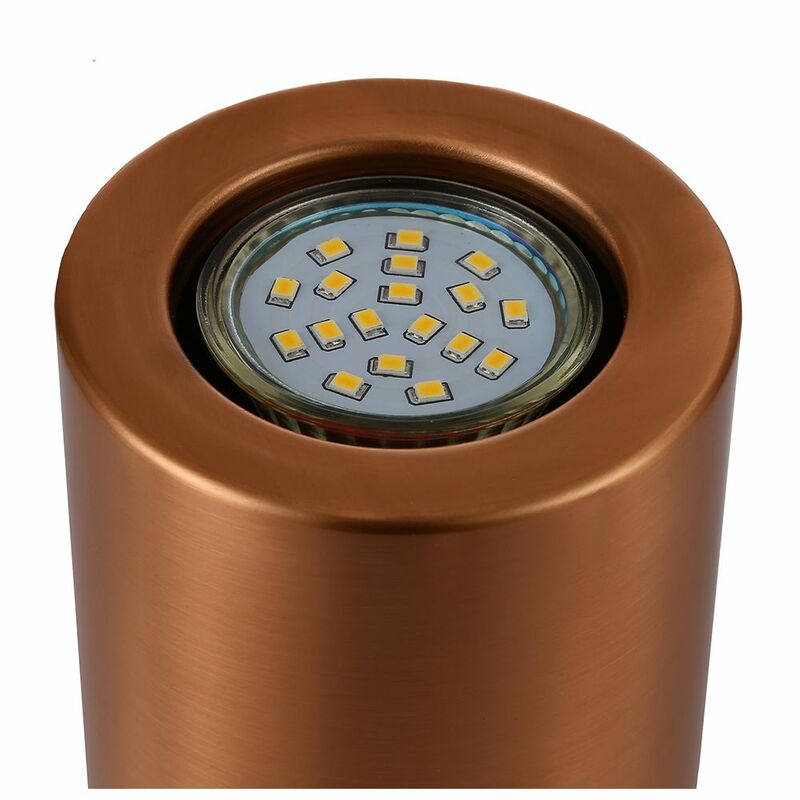 Useful and contemporary brushed copper mini LED floor or table lamp uplighter. Features on/off inline rocker switch button located on the cable. Includes 1 x 3watt warm white LED GU10 bulb which is equivelent to approximately 35watts incandescent. 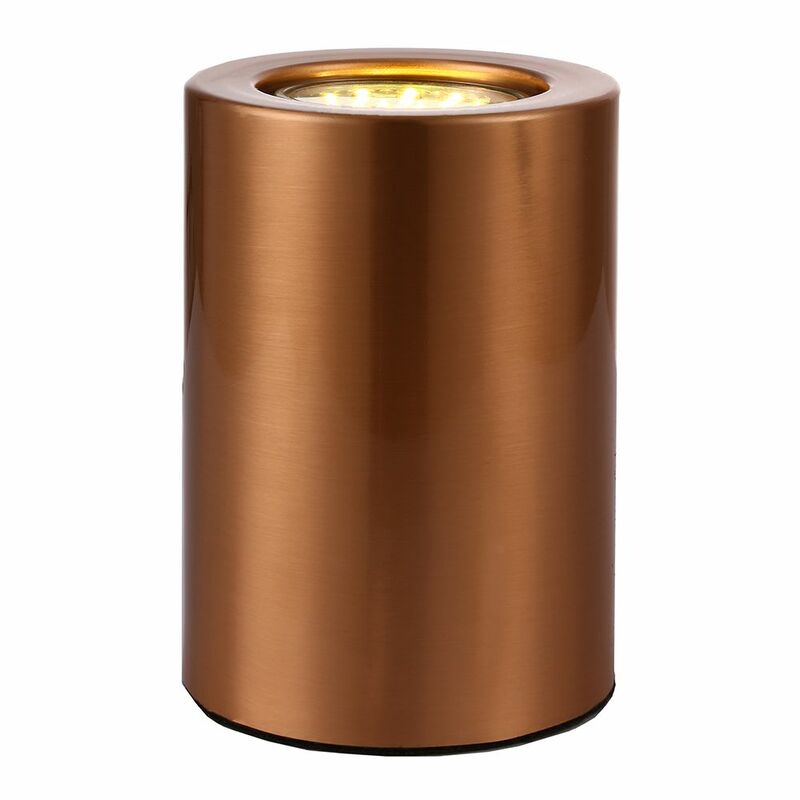 The lamp has a height of 11cm and a diameter of 9cm. Complete with 1 year electrical warranty.